The story of Franklin's lost expedition is one that still fascinates today, so much so that international researchers are still investigating potential causes of the deaths of all 129 men and officers aboard the fateful ship. 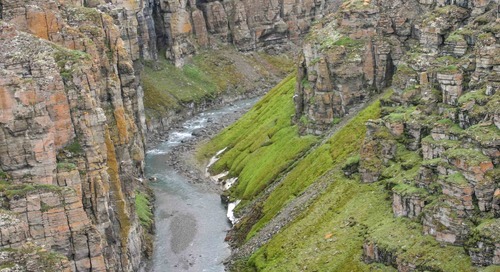 Just recently, scientists from the University of Glasgow re-examined forensic specimens gathered by Parks Canada in 2013 and concluded that lead poisoning was less a factor than previously thought. What, then, was responsible for the massive loss of life aboard the expedition? 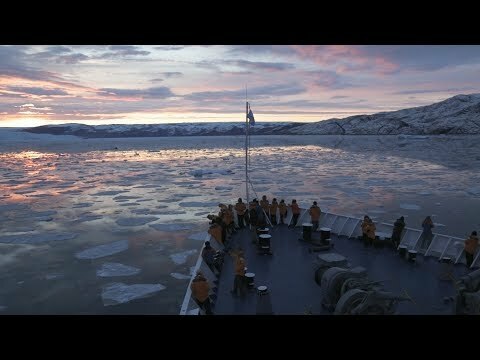 On an Arctic expedition, you could share in the unique experience of traveling through those very same waterways in the wake of Franklin’s expedition, with opportunities to explore Greenland and the Canadian Arctic en route. 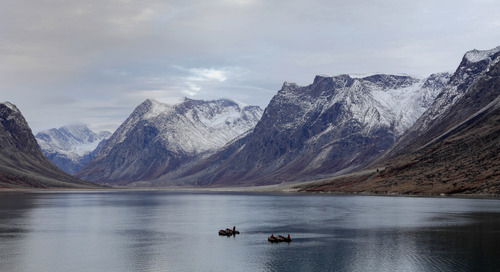 In 1845, Sir John Franklin and his crew departed England, determined to discover the Northwest Passage, the fabled sea route between Europe and Asia. Three years into their journey Franklin's wife, Lady Jane Franklin, had become concerned at their lack of communication and convinced the government to take action. 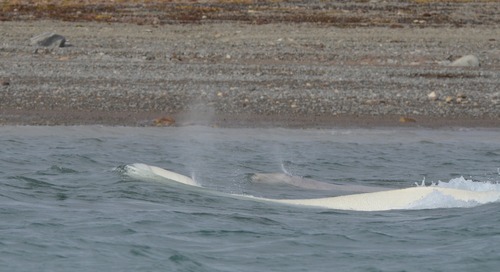 Three initial searches focused on the areas of Lancaster Sound, the Bering Strait and over land beginning at the Mackenzie River. That initial search effort proved fruitless, as did others in subsequent years. Lady Franklin herself commissioned a search in 1851 and by the following year, searchers McClure and Collinson were missing as well, alongside their crews. Collinson would later return to England, while McClure was rescued in 1854 – the very year searcher John Rae reported to the Admiralty that Inuit testimony and found artifacts led him to believe Franklin and the crew had died, with some resorting to cannibalism in a desperate bid to survive the ordeal. Rae was rewarded a sum that would equal about $400,000 Canadian dollars today, signalling to many that the Admiralty considered the matter closed. Lady Franklin, however, did not agree. She commissioned another search in 1857, this time led by Leopold McClintock. 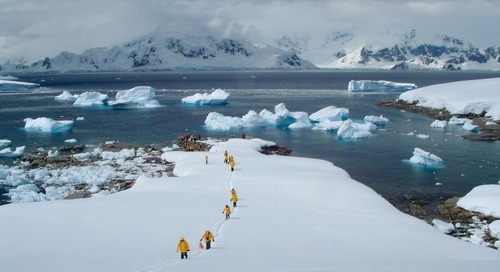 In searching King William Island, he discovered a number of corpses with a cairn note chronicling the voyage of Franklin's two ships, Erebus and Terror. 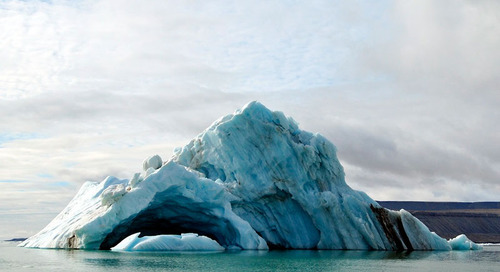 In May 1847, it said, the ships had become hung up on ice. 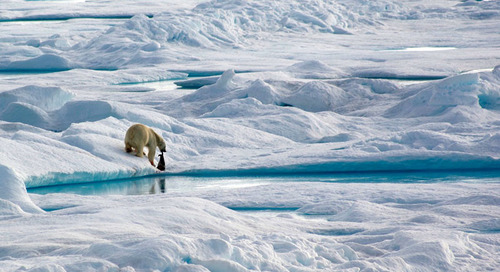 Even so, the expedition should have had enough food supplies to last three years. "All well," it said. A second note, dated April 25, 1848, told a more despairing tale. The ships had been lodged in ice for over a year and days earlier, the men had abandoned ship. For over 160 years, researchers, scientists and historians have puzzled over the mystery. Why did the men abandon ship rather than waiting for a melt? What had happened? 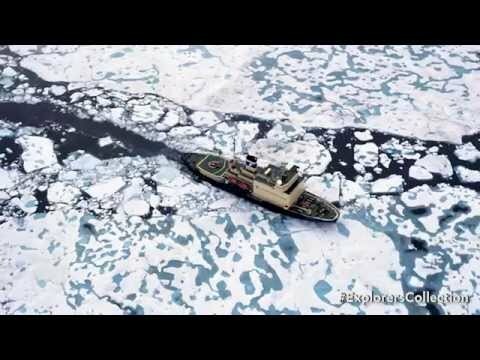 The Northwest Passage is infamous for its volatile weather and ever-shifting sea ice. 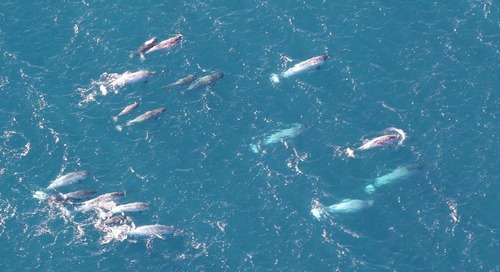 West of King William Island, in particular, powerful winds blow in layers of thick ice, formed over decades or even centuries. How long did the ice pin Franklin's two ill-fated ships in place? Many have investigated and researched Franklin's lost expedition, in search of clues or answers about the fate of the captain and his crew. 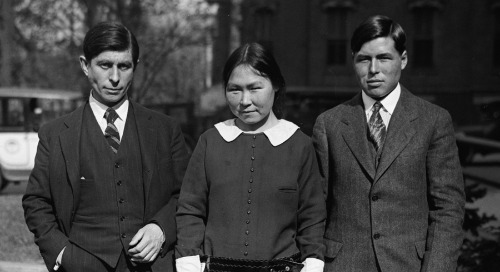 From American explorer Charles Francis Hall in 1860-1863, to Frederick Schwatka in 1879, to the Canadian government's search in 1930 and William Gibson's search a year later, came clues by way of human remains, Inuit testimony and artifacts, but no definitive answers. 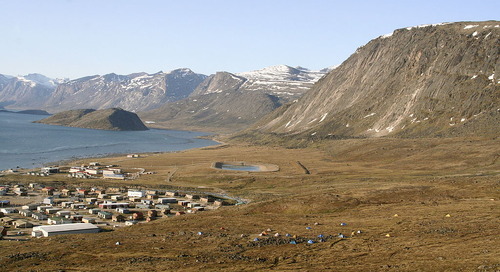 In 1981, the University of Alberta-led Franklin Expedition Forensic Anthropology Project unearthed skeletal remains on the western coast of King William Island. Forensic testing at the time pointed to lead poisoning and scurvy as the likely culprits. 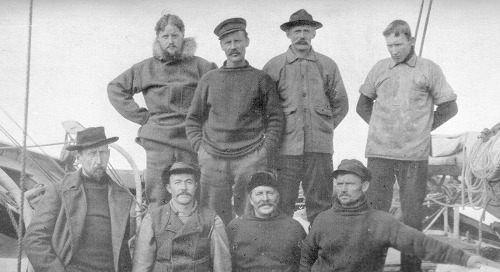 By 1984, they were able to exhume the remains of three members of the Franklin crew from Beechey Island, where they'd come to rest early on in the expedition. Again, forensic testing on the well-preserved, frozen remains pointed to high levels of lead as a likely cause of death. However, Professor Keith Millar of the College of Medical, Veterinary and Life Sciences at the University of Glasgow wonders if the lead couldn't be explained by other circumstances. "What is absolutely clear is many of them had high levels of lead," Millar told the CBC in an interview from Glasgow. "What is less clear is if that was unusual given their background in highly lead-polluted Britain. And the variation across the men that we've estimated shows they may not have been affected at all." 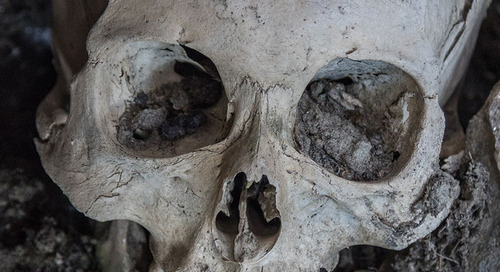 Excavations in 1992 revealed bones with cut marks on them, furthering the theory that Franklin's crew had resorted to cannibalism in order to survive. What happened on this ship, stocked with enough food to last years, to cause such a crisis? 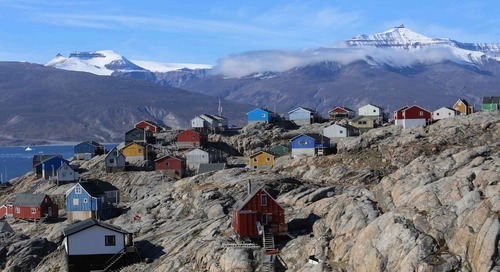 Our Northwest Passage: In the Footsteps of Franklin expedition embarks from Kangerlussuaq (‘Big Fjord’ in Kalaallisut), a settlement in western Greenland at the head of a fjord of the same name. 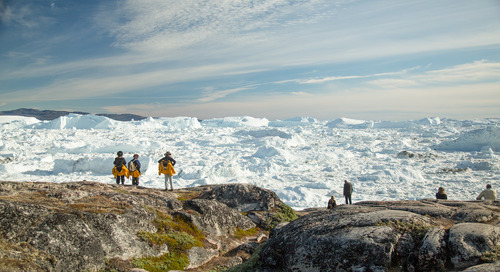 You'll explore West Greenland and Ilulissat Kangerlua, Greenland's famed Iceberg Fjord and a UNESCO World Heritage site, for hiking, spectacular Zodiac cruising and glacier viewing. 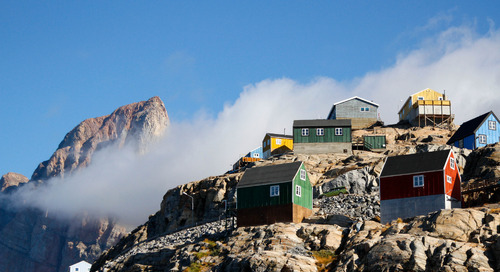 We may visit authentic Greenlandic villages and communities, including Itelliq, Sisimiut, and Eqip Sermia. 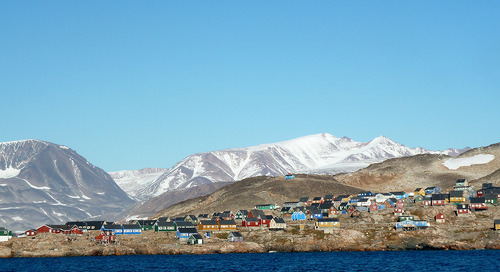 Across Baffin Bay, we'll visit Beechey Island (weather permitting), a Canadian National Historic site and home to a small grave site marking the final resting place of three of Franklin's crew. 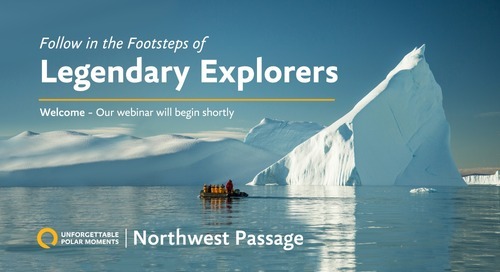 Cross the Northwest Passage in comfort with myriad opportunities for wildlife viewing, photography, adventure activities and Arctic exploration.  With notes from CBC's The Franklin Searches: 1848-2011.